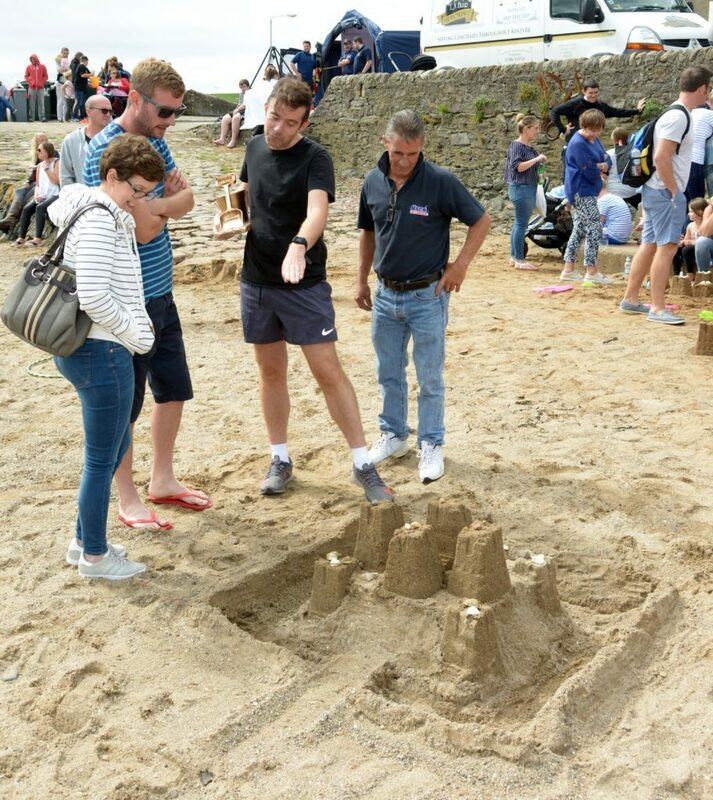 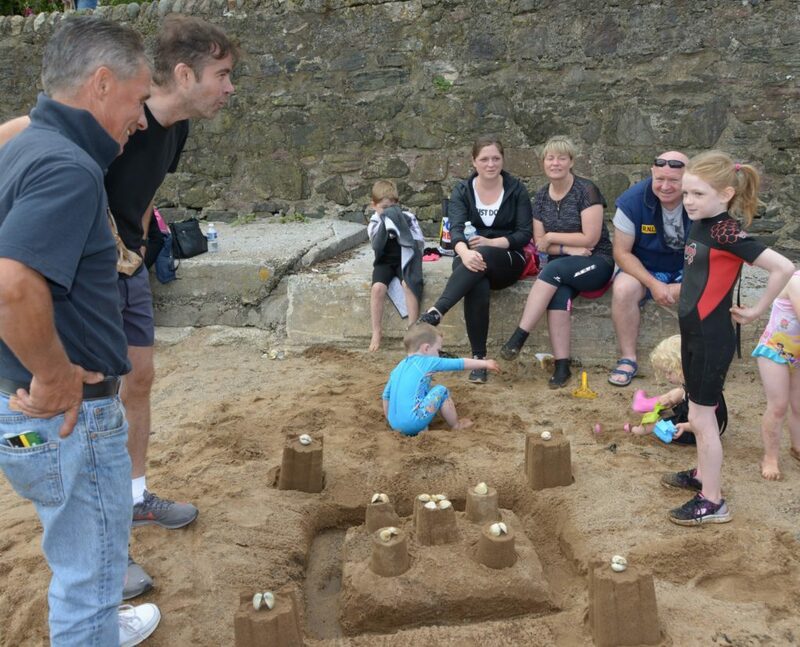 BBC Scotland’s education correspondent turned architectural expert to judge a sandcastle competition. 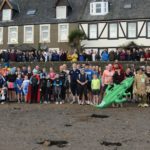 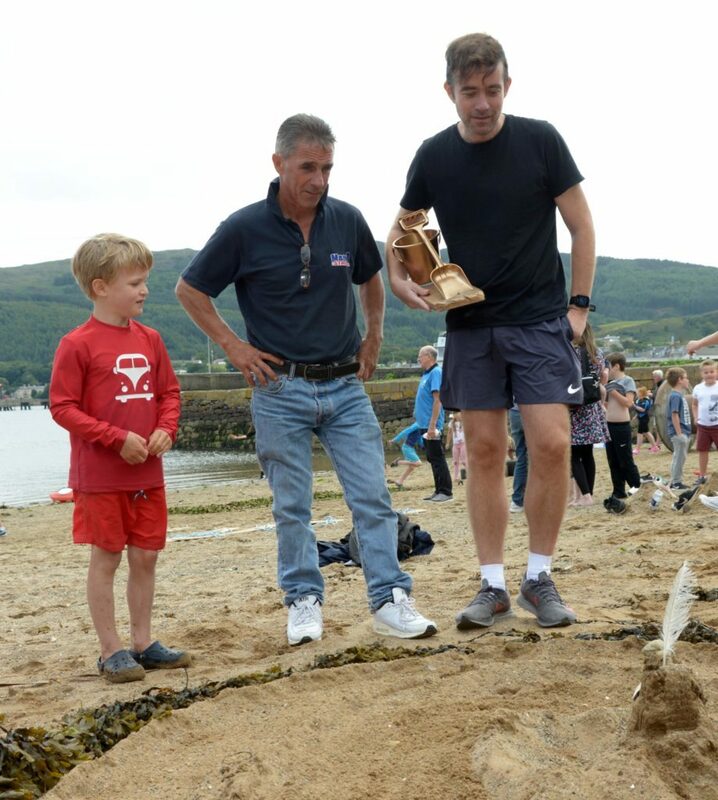 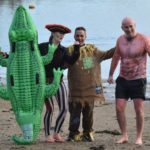 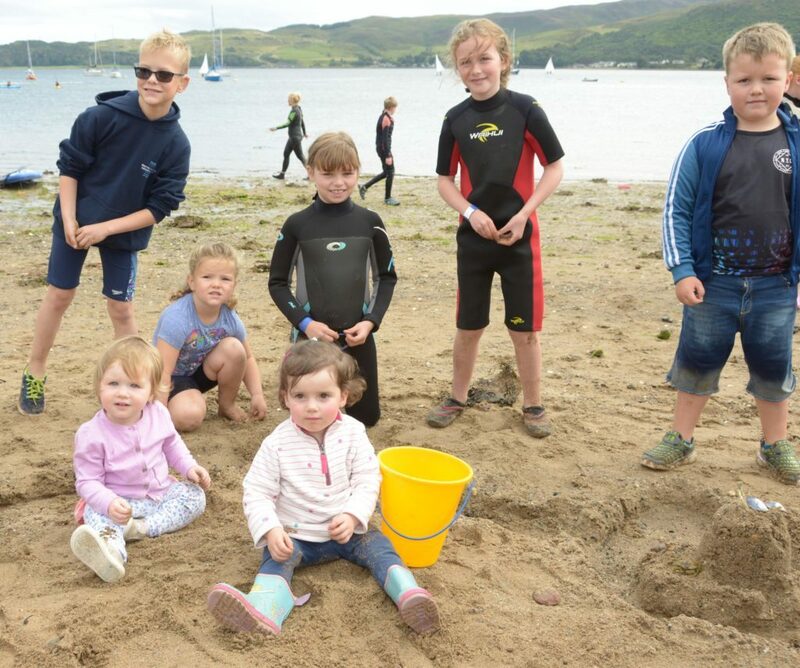 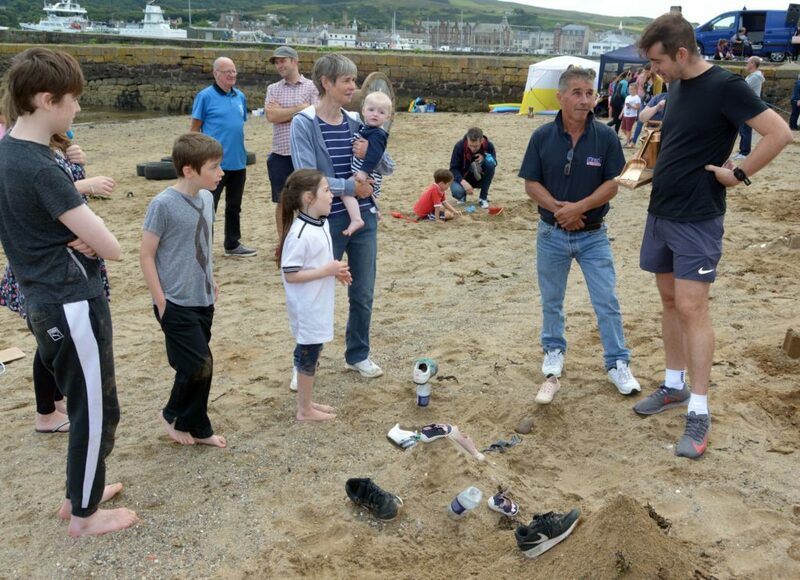 Jamie McIvor, who began his journalism career at the Courier, was roped into the special role at last Saturday’s inaugural Campbeltown Community Regatta by Dalintober Beach Group’s Jamie McLean. 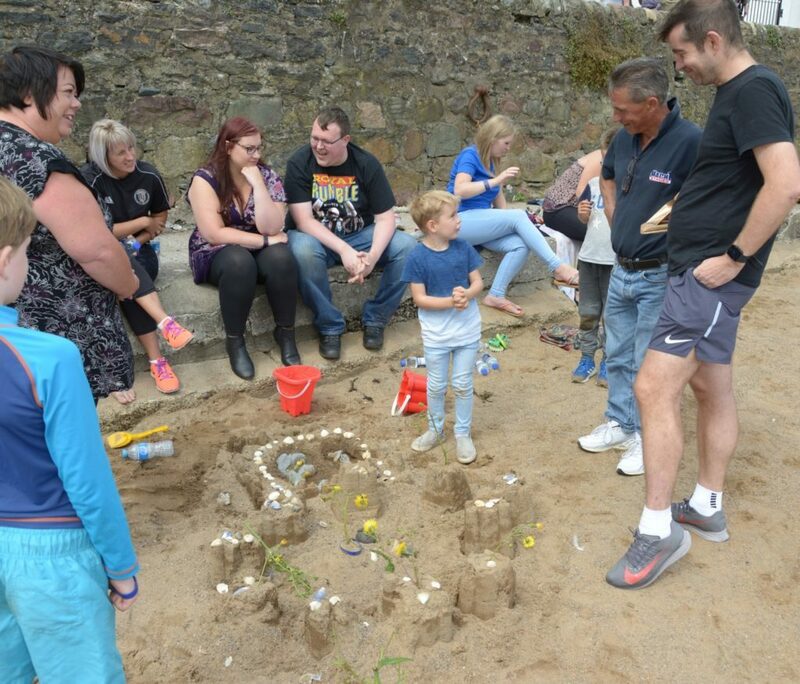 At about 2pm Mr McIvor toured Dalintober beach where he found creations ranging from the traditional castle with sea water-filled moat to one decorated with dandelions and another with shoes instead of shells. 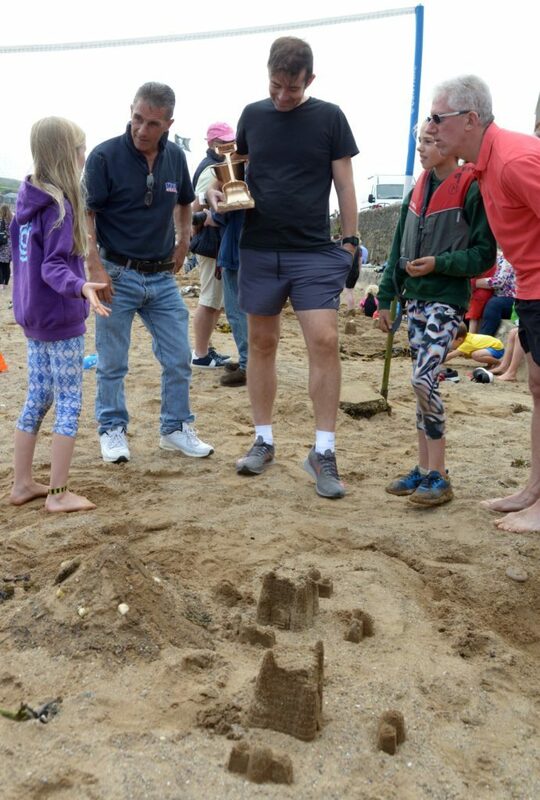 It was a tough decision but there was only one golden bucket and spade trophy specially made by Kenny Blair. 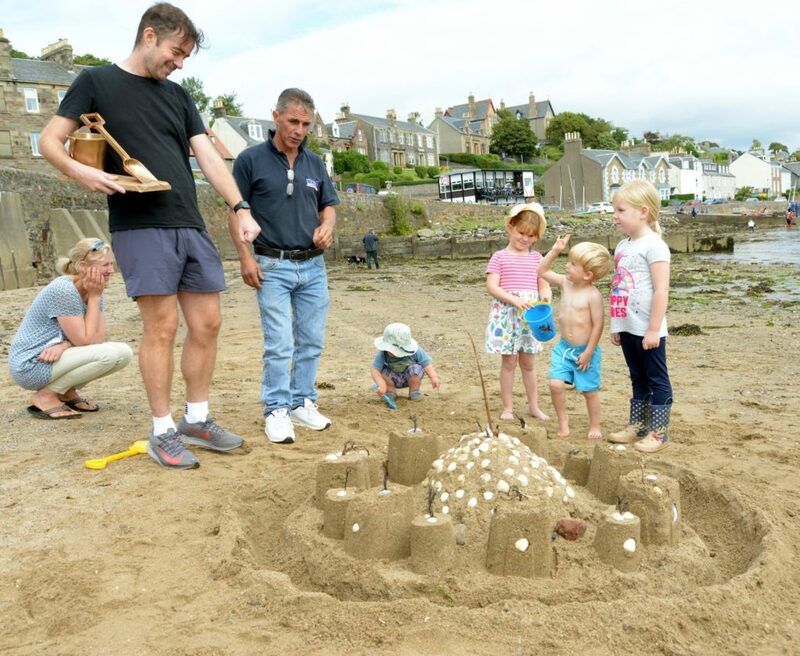 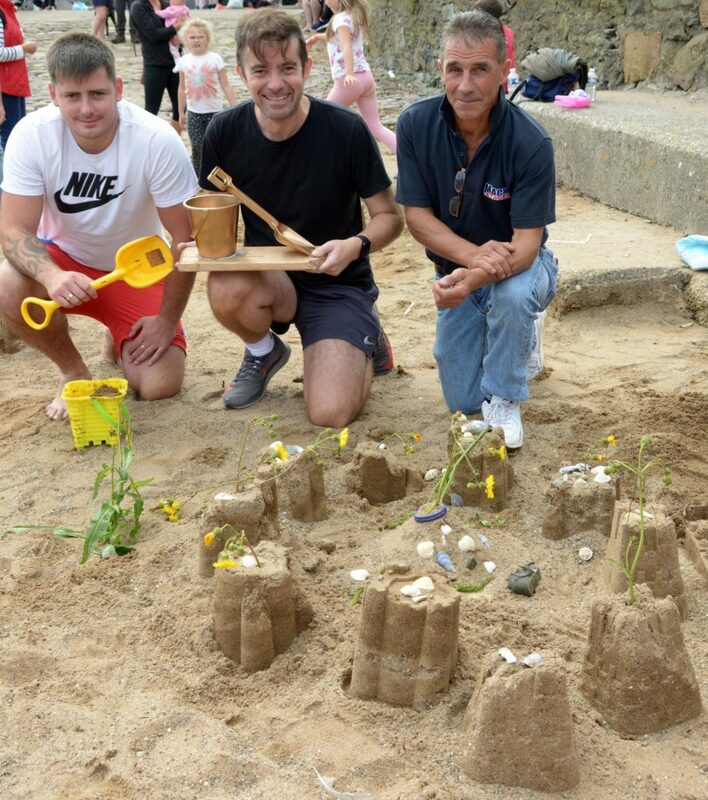 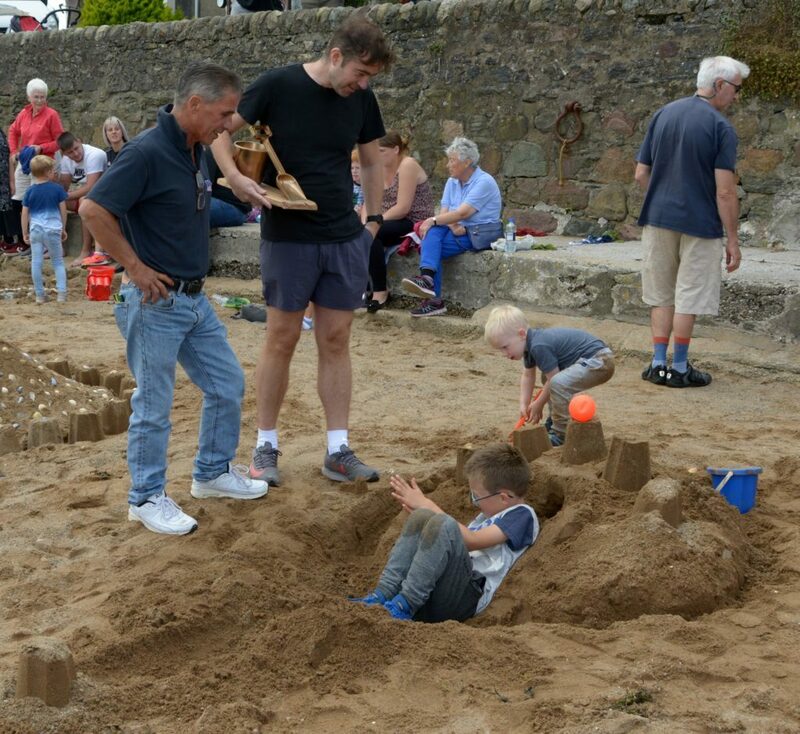 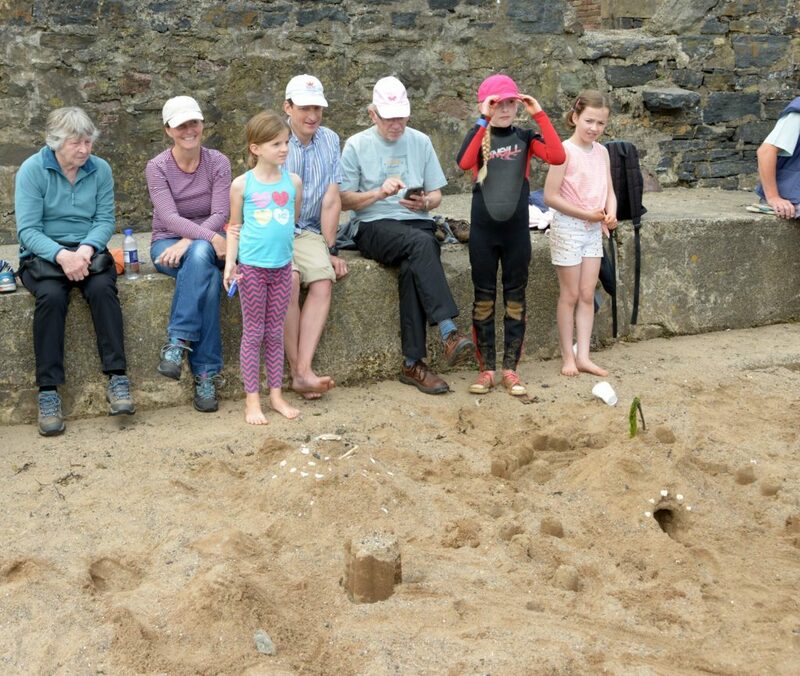 Mr McIvor was unaware of the family connection when he pronounced the winner as the dandelion castle, and was told it was made by Finlay Blair, 5, who had already left the beach. 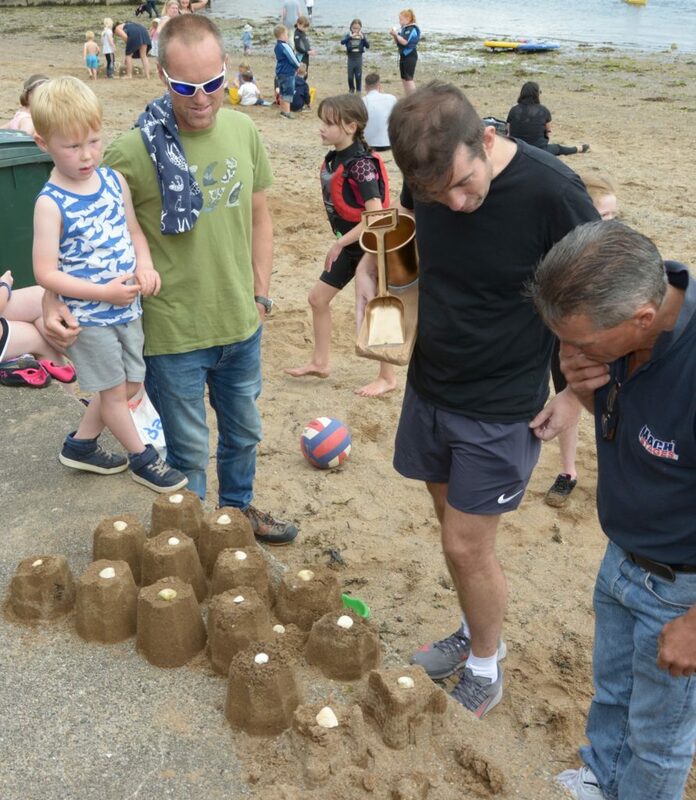 It was not possible to take all the names of sand castle constructors during judging, but here are a selection of the castles and the winner.